An updated survey of top financial services firms finds the number of UK jobs likely to be shifted by Brexit falling by half. The scale of the Brexit jobs exodus from the City of London has eased over the past six months, according to the findings of a survey of financial services firms. The Reuters news agency said it returned to 119 companies, questioned in September, to check their intentions and found 5,000 roles were now due to be shifted to the EU from London by 29 March 2019, the date of Britain’s EU exit. 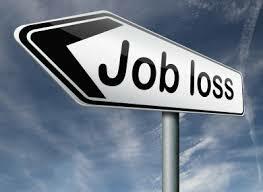 It marked a 50% fall on the 10,000 jobs that firms had originally predicted would be lost, the survey showed. The study found that while companies had been cheered by progress in the Brexit process, including the agreement on a transition period, firms also credited a “more conciliatory tone” from the Government.t also suggested that Paris had overtaken Frankfurt as the main destination for London-based jobs following a charm offensive by the French President Emmanuel Macron – a former investment banker. The findings were released as the Bank of England prepared to update European lenders on the regulatory approach they are likely to face in the UK after the country leaves the EU. The prospect of empty office blocks in the City because of Brexit has been a key battleground in the debate since the referendum campaign began amid warnings of job losses running into the tens of thousands. The London Stock Exchange has published the highest estimate to date, of 232,000 by 2024, in the event of a “no deal” or “hard” Brexit scenario. London is currently the world’s largest financial centre. The Government is demanding that financial services – which account for around 11% of the country’s economy and is the UK’s largest export sector – is included in a Brexit trade deal. Uncertainty has forced many multi-national firms to put contingency plans in place to ensure they can continue to operate across the EU. But the survey’s findings showed banks, primarily, were now scaling back their plans – at least for now. Deutsche Bank, which had originally examined moving up to 4,000 staff, was now only due to shift fewer than 200 workers. The survey also suggested that UBS was currently aiming to move 200 roles after previously indicating as many as 1,500 jobs would cross the Channel. It was a similar story at Goldman Sachs, which had considered moving about 1,000 people. Reuters said that number had now been cut by more than half. However, a majority of the respondents warned that their plans were not set in stone and were likely to result in further changes in the coming years. Of the 40 banks which responded to the survey, only eight had already moved staff. Responding to the findings, the chief executive of the financial services industry lobby group TheCItyUK, Miles Celic, told Sky News: “Firms are prepared for a variety of potential Brexit outcomes, ranging from high market access to low market access. “Until there is certainty on the final shape of the deal, they will take action to ensure that they can continue to serve customers on and after March 29 next year.